It's almost... not ... fair. When you go to watch a film like "Creed II," much as you did with its 2015 predecessor "Creed," you're not just viewing an individual movie. Far from it. You're watching 42 years of cinema history played out on the silver screen. To those of a certain age, names like Rocky Balboa, Apollo Creed, Mickey, Paulie, Clubber Lang, Thunderlips, Drago and "Adriaaaaan'" aren't just characters on a screen, but the fabric of a childhood movie-going experience. Sylvester Stallone has embodied the skin of Rocky Balboa for four decades over the course of eight films. We've seen Balboa mature from wiseguy muscle with a heart of gold to up and coming contender. We've witnessed him ascend to world champion and fall as an aged heavyweight. Finally, we've seen him settle comfortably into the role of wise mentor to Adonis Creed. We know Rocky better than we know some members of our own families. It was with those heavy expectations that "Creed" burst onto the scene in 2015 and delighted audiences by resurrecting Rocky and having him turn over the franchise mantle to a more than worthy successor in Michael B. Jordan. The November 21st release is the latest in the long Rocky movie line - as Jordan plays Adonis Creed in the battle against the son of the man who killed his father. For the 2018 sequel director Steven Caple Jr. does some resurrecting of his own, bringing back Dolph Lundgren as Ivan Drago, the most diabolical villain in the Rocky annals (Sorry, Clubber Lang fans). In doing so Caple does something rather miraculous: He re-envisions Ivan Drago from the robotic, cartoon brute he was in "Rocky IV," to a fully realized, three-dimensional character who has carried the shame and humiliation of his loss to Rocky for over 33 years. First, lets take a step back. 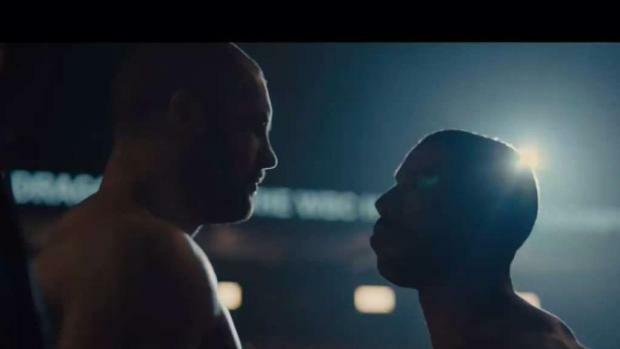 While "Creed II" stands on its own, you're simply not going to fully appreciate the stakes unless you're familiar the Rocky terrain in general and "Rocky IV" specifically. So first a quick recap. In "Rocky IV" Adonis' father Apollo dies in Rocky's arms after being beaten to death by an unsympathetic Drago, who utters his one memorable line "If he dies... he dies." It's a death that haunts Balboa both because Creed took his place in the ring and because he failed to throw in the towel to save his friend. Flash forward three decades and, while the film's thread links most directly from "Rocky IV," longtime franchise fans will discover the movie most symbolically echoes the beats of "Rocky III," where Balboa had grown soft and comfortable living the good life, wracking up wins against soft opponents, unaware that a mean, lean and ravenous Clubber Lang had his sights on him. Here, we open with Adonis Creed becoming heavyweight champion beating an opponent past his prime. Things are looking good for Adonis. He has Rocky in his corner. He's just popped the question to girlfriend, now fiancee, Bianca (an always superb Tessa Thompson) and the two have just found out they're about to become unexpected parents. Life is good. But Drago is coming. And he has hungry offspring Viktor in tow. One of the many pleasures of the film is seeing Stallone and Lundgren share an excruciatingly tense reunion scene. Yes, in the years since "Rocky IV" the actors have reunited in the "Expendables" franchise, but they weren't playing Rocky and Drago. The weight of their reunion is acted with clinical precision by both men, each carrying a wounded edge and world weariness that only comes with decades of history. The film itself plays out along the familiar beats you would expect. There's the upstart challenge and the ignored pleas to ignore said challenge. You have the aging mentor who doesn't want to revisit past trauma and an ignoble defeat. The mentor, of course, returns in time for the inevitable rematch, the outcome of which is never in doubt. While there are few curve balls along the way (aside from two very unexpected cameos) that doesn't mean you're disappointed with the journey along a beaten path. Far from it. 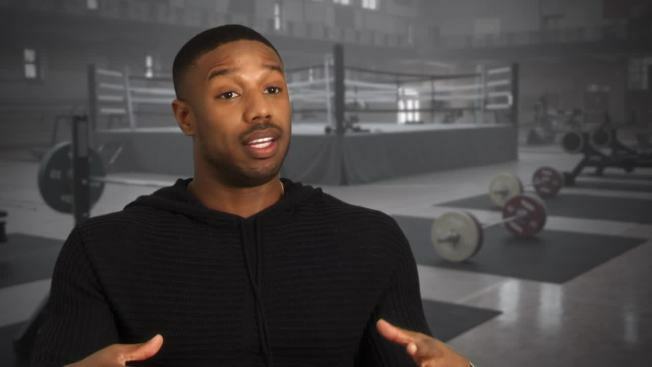 In two films Jordan has made the role of Adonis Creed his own. And there's a not too subtle scene of a passing of the torch at films' end that lets you know he may be playing the role for some time to come. "Creed II" hits theaters Nov. 21.